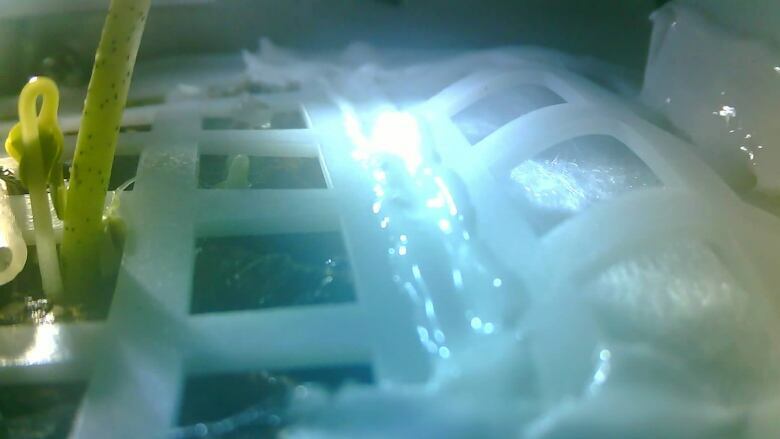 A photograph taken on Jan. 7 and released on Tuesday by China's National Space Administration showed the seeds sprouting on the far side of the moon. The experiment lays the foundation for a lunar base and long-term space exploration, according to the chief designer of the Chang'e-4 probe's biological experiment payload. The administration applauded the launch as a first that "lifted the mysterious veil" of the far side of the moon and claimed it as a major achievement for the country's ambitious space program. Chang'e-4's tasks include astronomical observation, surveying the terrain and mineral makeup, and measuring neutron radiation and neutral atoms to study the environment of the moon's far side.